The bottom part of this character represents the feeling of being thankful from the bottom of your heart. This feeling is deep and profound but is not always spoken aloud. Let this character speak of your gratitude for all the blessings you have in life! 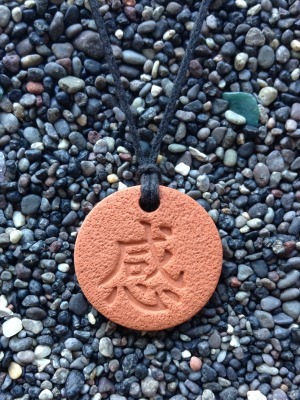 The Gratitude Pendant measures 2.8 cm (1 1/8 in) across.